Today’s beer comes to us from Yorkshire, England. The Wold Top Brewery is located on 600 acres of farmland in Yorkshire. Owned by the family for generations, the traditional farm was not bringing in enough revenue. The decision was made to diversify – after 8 years of planning and discussing, in 2003 they brewed their first beer. Since then they have grown to include numerous traditional recipes and brew many beers that are distributed around the UK. 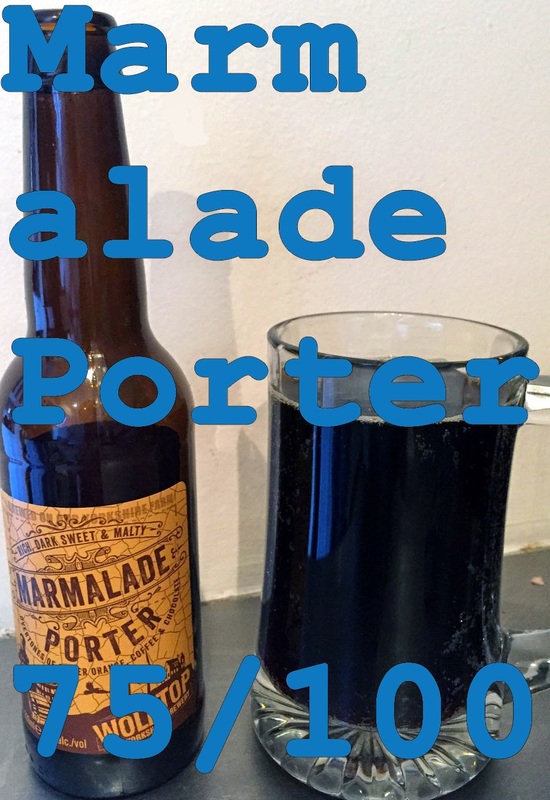 Porters, like stouts, are dark and heavy beers that have been malted heavily. They are rich and often flavored with chocolate, coffee, or caramel malts to give them some balance to that richness. This one uses both barley and corn malts. It was rare to see corn malts in a beer until recently when the numbers of those with gluten intolerances soared. Now we find corn and even sorghum malts used in beers to make them “gluten free.” This one is not 100% gluten free – while it does meet the requirements for those who simply have an intolerance, it would not be good for those with celiac. On to the beer!